Wed Feb 7 @ 7:30 pm: Q&A with director Ted Geoghegan and co-writer Grady Hendrix, moderated by Michael Gingold. Presented by Brooklyn Horror Fest. From writer/director Ted Geoghegan (We Are Still Here) and featuring wrestling icon Jon Huber (WWE Superstar Luke Harper), MOHAWK is a white-knuckled hellride that’s unrelenting in its intensity and unflinching in its depiction of humanity pushed to the limits. After one of her tribe sets fire to an American soldiers’ camp during the War of 1812, a young female Mohawk finds herself pursued by a ruthless band of renegades bent on revenge. 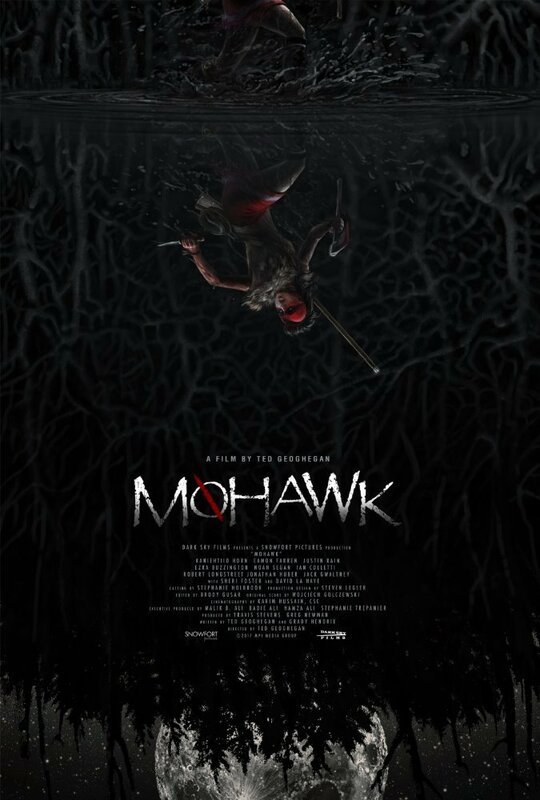 Fleeing into the deep woods, Mohawk youths Oak (Kaniehtiio Horn, Hemlock Grove) and Calvin (Justin Rain, Fear the Walking Dead), along with their British sympathizer friend Joshua (Eamon Farren, Twin Peaks), confront the true horrors of war and the terror of the darkest night as they’re hunted by the bloodthirsty Colonel Holt (Ezra Buzzington, The Hills Have Eyes) and his small army of soldiers. As the Americans seem to close in from all sides, leaving a massacred trail of destruction behind them, the trio must use every resource available to stave off brutal execution at the hands of the sadistic soldiers. But the warrior spirit is strong in Oak, and before the sun rises her pursuers will discover the full power of a righteous spirit unleashed.